When my mom was downtown she was strolling through Instagram and came across a bunch of photos of beautifully rolled ice cream in colourful arrays and she was tempted to go and try it out. 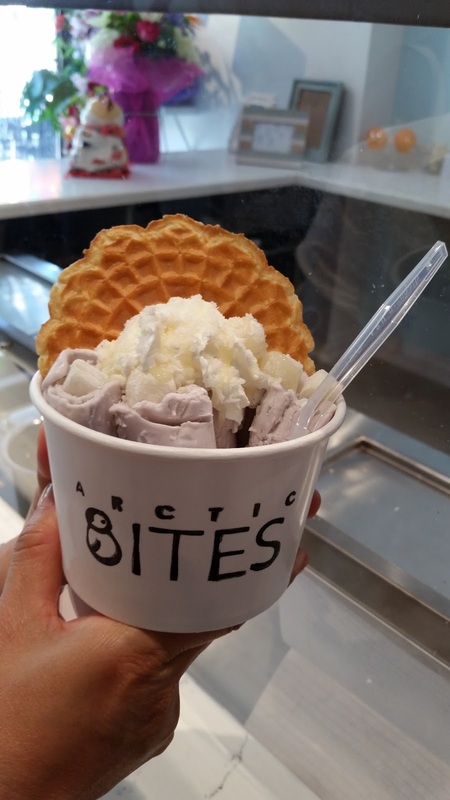 Being the great daughter I am (haha), I decided to skip my workout (oops) and take her to Baldwin Village to eat at Arctic Bites. We got to the entrance, and the first thing we were greeted with was the absolutely LONG line of people waiting for their ice cream! The huge line up definitely increased demand from passing people, and only made the line longer and longer. I believe that we waited for at least half an hour, perhaps more. It was quite a long wait but we did come during the prime hour (it was the middle of the afternoon and it was a scorching hot day!). When we finally got to the menu, I was a bit confused how to read it. 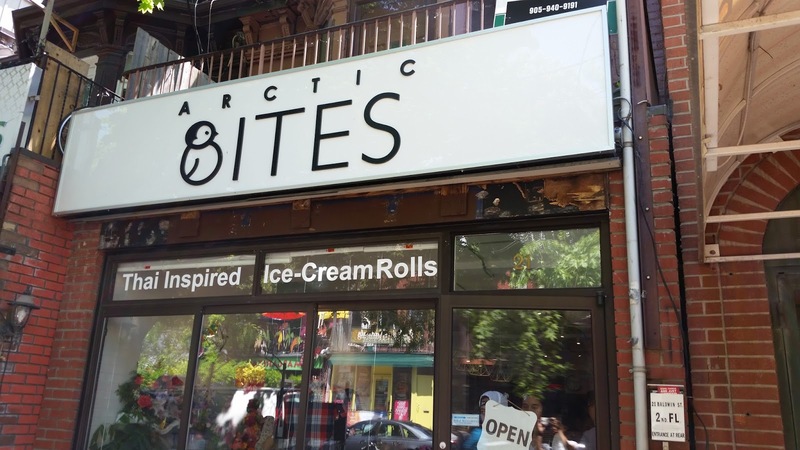 I can tell that Arctic Bites was trying to go for a unique, hipster feel, so the menu was chalked in on a blackboard down below. For me personally, I do feel like they should put the menu on a more visible area so that customers can choose what they want while they wait. After all, my mom and I couldn’t even look at the selection until we got close to the cashier. In addition I feel that there should be some description about what the selections are. During my visit there I saw a lot of people inquiring about what selections are and what they have on it, especially for the Thai Me Up selection. I feel that if they displayed the menu more clearly and have little descriptions the place would be a lot more easier to visit! 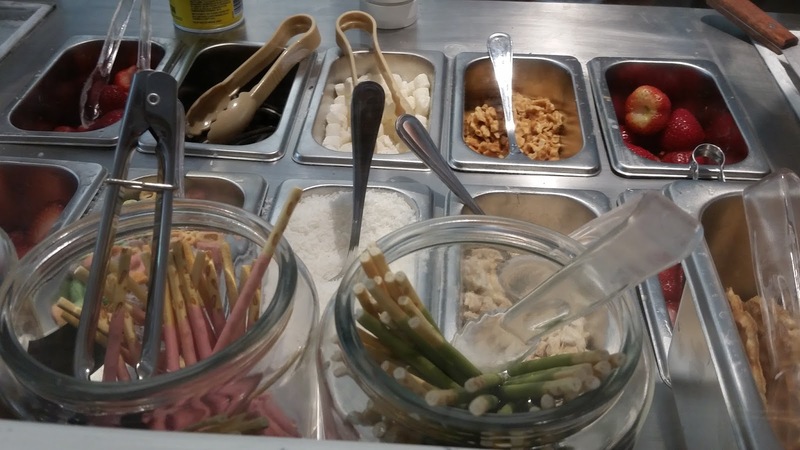 Regardless, my mom and I ordered with ease once we finally got to the cashier, and got to watch the young ladies make the ice cream. I almost felt bad for the girls that worked there – making the ice cream required some extreme labor in my opinion. In addition it also takes some time to make, which is what I believe caused the line up. After about another 10 minutes in addition to the wait in the line up, we got our beautiful orders. 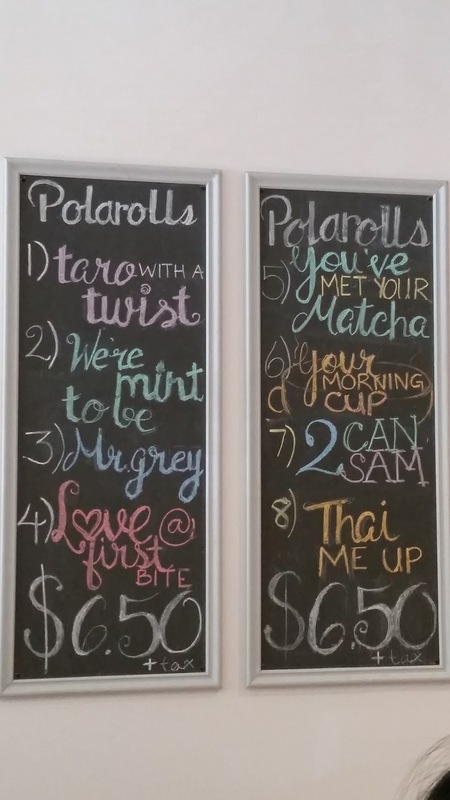 My mom ordered the Taro with a Twist Ice cream, while I got the Your Morning Cup selection (I am a huge coffee lover). The ice cream alone was actually very fulfilling. 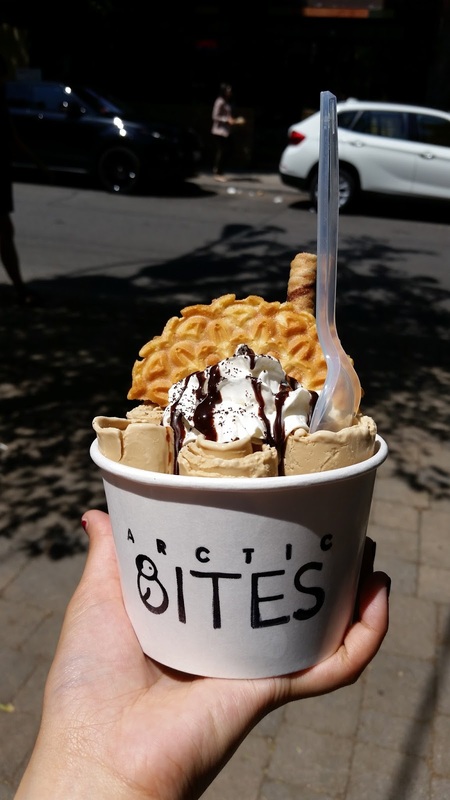 You can tell that it was sweet, fresh and very creamy – all very favourable things to have in ice cream. In addition, the display was definitely photo worthy! Was it worth the wait though? 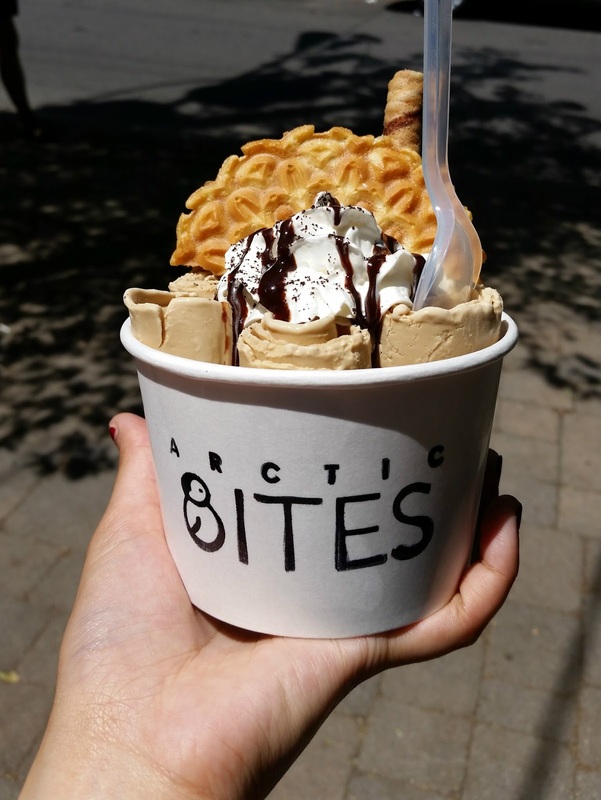 I’d say it was, but to avoid a line up, I recommend that anyone making a visit should go at more odd hours of the day in order to prevent the line up and enjoying your rolled ice cream much more!